1. The action of marking one’s pleasure at an important event or occasion by engaging in enjoyable, typically social activity. This morning, I looked at my calendar, and I couldn’t for the life of me work out why January 27 felt so massively important. It was weird, you know, when you think, is it someone’s birthday? Or have I forgotten a big job interview? Why on earth does January 27 feel so important? Then I remembered it’s the last time I got together with all of my closest family and friends and had the most fantastic time. It was one never to forget. We laughed, we cried, we all felt utterly emotional and I’m sure we all had a few sore heads in the morning. I certainly did. Keep your chins up Big Love, Appleketchup 2012. I’m back into my definitions after a week off. I love the way they look. Today, my chosen word is graffiti. Graffiti has been a huge part of my life ever since I was about 21. I didn’t know it was to be this way. I had a boyfriend. Boyfriends have obsessions. His was just this. 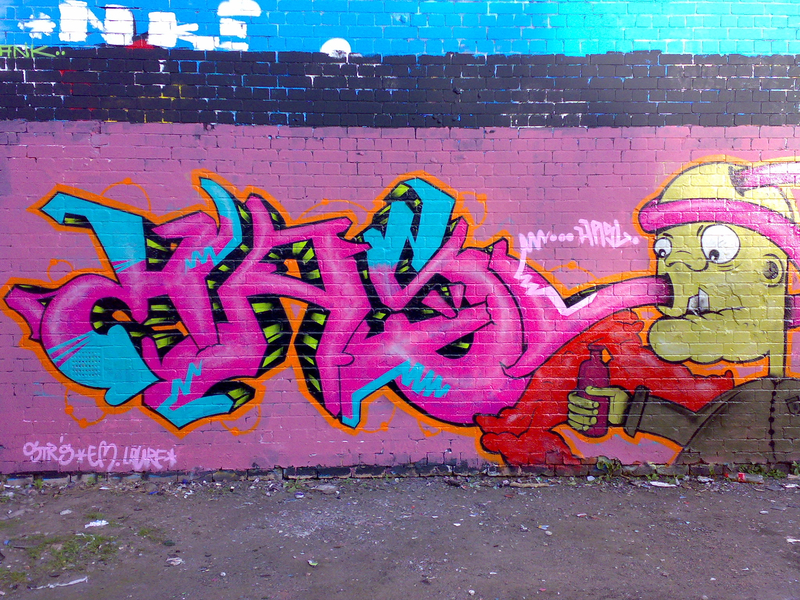 Graff. He had a crew. They scribbled away in books every evening, planning to go out into the cold misty mornings in Bristol, London, Leicester, and paint. Little did I know at the time, how dramatically the world’s view on graffiti and street art would change. Nor, how my family’s view in more recent times, would change. Moreover, neither did any of these boys. They had a passion, and they followed it. Many days I stood there, pretending to look interested, freezing and wishing I were inside a warm pub, or shopping centre. I definitely showed keen curiosity at the start, looking at photos and sketches, hanging out with the crew, telling people proudly, my boyfriend was a ‘graff artist’. It was cool, right? When it came to the crunch, however, there were many days when I didn’t want to get up at 5am, or stand out in the freezing cold, or pose, in front of a piece, for a photo. You see, I liked it, I thought it was cool – but it wasn’t my passion. 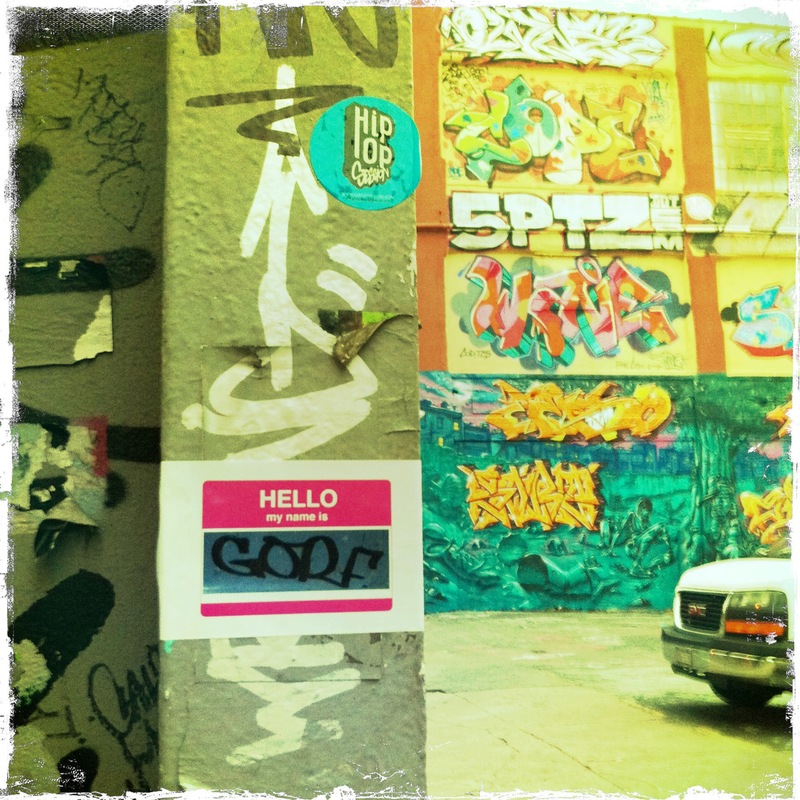 Graffiti has become such a widespread phenomenon. If you type the word ‘graffiti’ into Google, an actual online graffiti creator appears, where you can type anything and it becomes graphotised! How it cheapens the real talent. These guys, they were the real deal. They weren’t in it to show off, or for fame, or money, they actually took risks… and they REALLY loved what they did. Now, looking back. I have to take off my hat to them all. They stuck at it. They are the true artists. Surprisingly enough, I’m not going to launch into an online debate of the art versus vandalism topic. I don’t need to, it’s already been done so many times before and it’s not a subject for today. But…if you ever do just think of it as mindless vandalism… take a moment to think about the hours spent poring over sketchbooks, the money spent on paint, and the long days outside in the cold grey haze of the UK, suffering for your art. What does green mean to us? The definition used to be so simple… it’s a colour………often one we think of, when someone says… trees. Of the color between blue and yellow in the spectrum; coloured like grass or emeralds. But now, in our lifestyles, design, food and drink, we are often thinking of the recurring question… is this green? Am I being environmentally responsible in my choices? My husband runs a carbon neutral company, and so we are often faced with making decisions on the basis of their sustainability, such as his decision to give up beef for a year. (Watch this space….). With it being our first Christmas in New York, we did opt for a small evergreen tree, which we were told would be recycled for mulch. Ok, so we were being responsible. And it was only tiny, after all. Look at this image of a local street in Brooklyn. It’s SO sad. 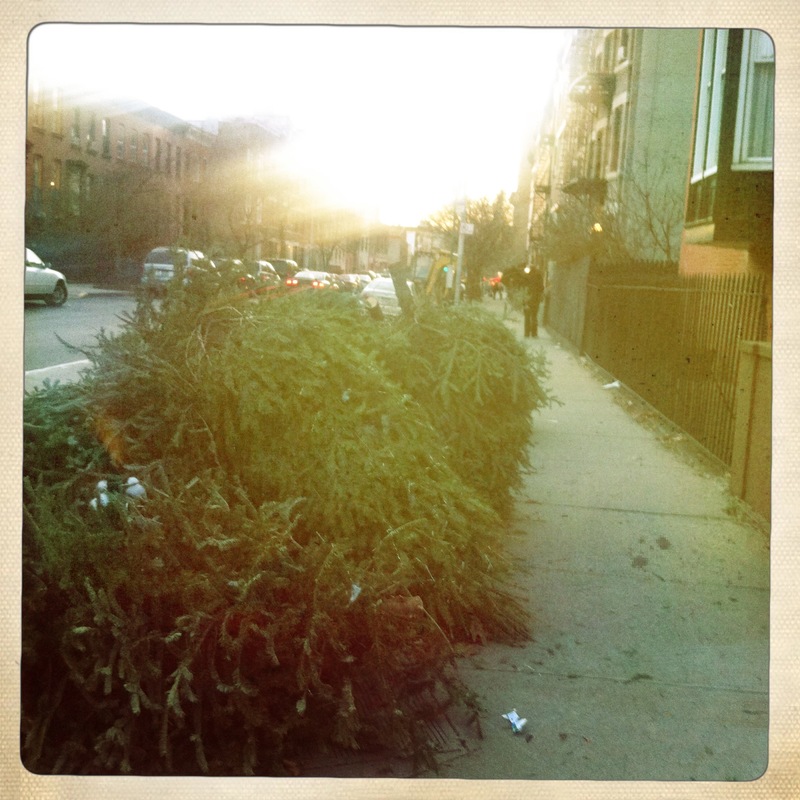 Only days after the holiday season has finished, there are piles of trees are all over the streets, tossed away, unwanted. For some, their job was up on Boxing Day, stripped of decorations and lights. I feel ashamed I was a part of this. What has really hit home to me about this sad image, is how wasteful it is. The needles on these trees have not even begun to turn brown or fall off. For some, their job was only a few days long. What a pointless waste of cutting a tree down. I know Christmas is over, and I should maybe be talking about something else, but I thought perhaps in preparation for next year, and seeing as we are all complaining about how odd the weather has been due to global warming, it might just be time for us to take a long hard look at this sad image, and plan for something a little more ‘green’, rather than the millions of unwanted evergreens we are wasting. I have done a little bit of research, and come across some fantastic ideas for next year… so just in time, at the end of November 2012 – I’ll refer to this informative post, and you can all do your bit to slow down global warming. 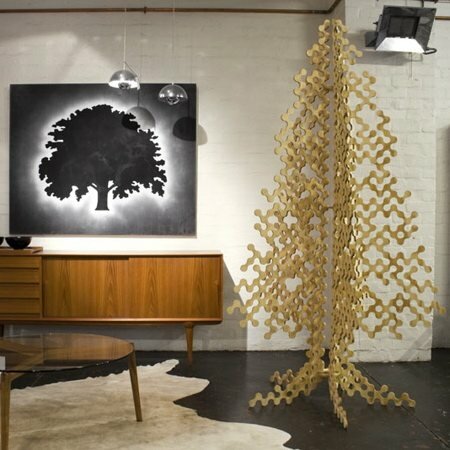 Some very clever Aussie graphic designers, called Buro Design have come up with this fabulous eco tree…..
You might look into recycled bottle trees, paper trees, coathangers and any other such throwaway material that can be re – styled in to a tree shape and decorated. An utterly inspiring idea in this town in Lithuania was a full scale recycled tree all from plastic bottles in the town square. I’m glad I’ve had the opportunity to see how sad all the discarded trees look… I hope my sharing touches you in the same way. Next year,any decoration I choose to add to my home will be completely sustainable. I’ll even demonstrate how you can create your very own and super stylish ‘Christmas Corner’, if you are still reading. For those of you who can’t live without a real tree, there is always an option to rent one… in a pot, so it can go back to being a tree after Christmas, instead of a pile of wood chippings. And one last little word, whilst we are on the subject – for a city where every other person says ‘Happy Holidays’ to avoid offending anybody not celebrating Christmas…… there are an AWFUL lot of unwanted trees thrown away round here.. shame on you! 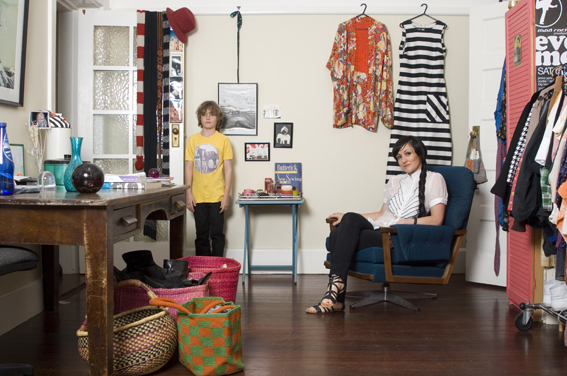 How much in our homes, is a true reflection of our personality? The way we live our lives? A few years back, when I was originally planning my first escape to NYC with friend and photographer, Margie Curry, we started on a little project with no idea that another photographer was doing something similar in NYC. Shortly after beginning, I heard about The Selby. Funnily enough, I fell upon this blog again recently. I’m not sure if my investigation was in any way similar, or what I finally wanted to achieve when I started out, but my recent re – discovery reminded me of this now unfinished project, forgotten and un – published. So I’ve pulled it out, to start 2012. I wanted to investigate how much we surround ourselves at home, with items that really represent who we are? How much truly reflects who we are, and how much is what we want people to think of us? And on another level – how much in our home might hide who we really are, and be a facade? When invited to other people’s homes for dinner, drinks or a visit, often our first instinct is to have a snoop around, see what’s there. We just love it. Or, if we are lucky to be in the home of a proud owner, we might even be given ‘the grand tour’. You never know what you might find…….. 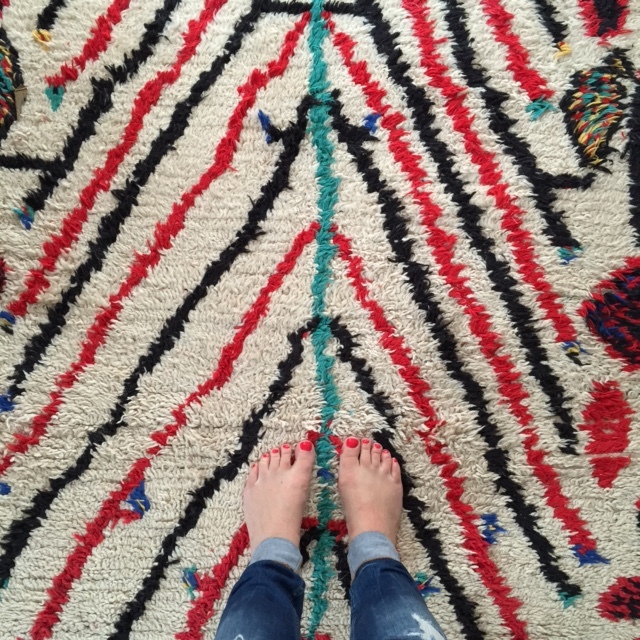 Some of these Sydneysiders let us inside their homes, so we could see what they collect, are proud of, and let us have a sneaky peek inside their spaces. Just a little bit of food for thought to start off the New Year… Appleketchup style. Our models let us photograph them in their own homes across Sydney. Production and Styling, Emily Rickard Photography, Margie Curry. All images © appleketchup. Hannah, with Indi. Yoga Teacher and Set Decorator, Eastern Suburbs. 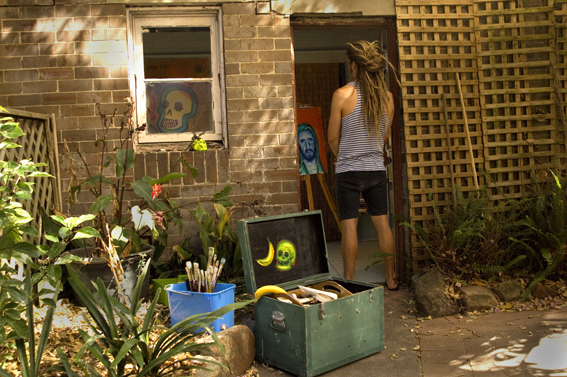 Will, Photographer and Artist, Northern Beaches. Morgan, Artist, Eastern Suburbs Beaches. 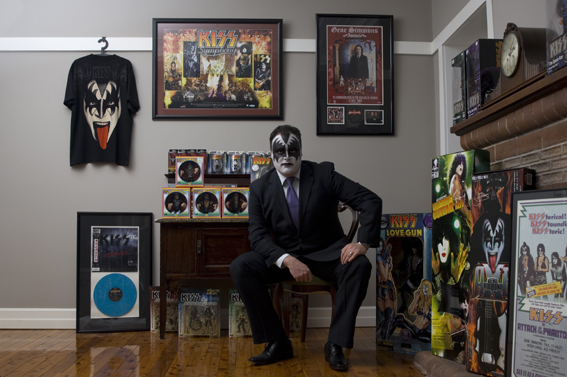 Matt, Sales Manager, Inner West. Phil, Event Designer, Eastern Suburbs. Anisha with son Aarya, Dentist, Eastern Suburbs.